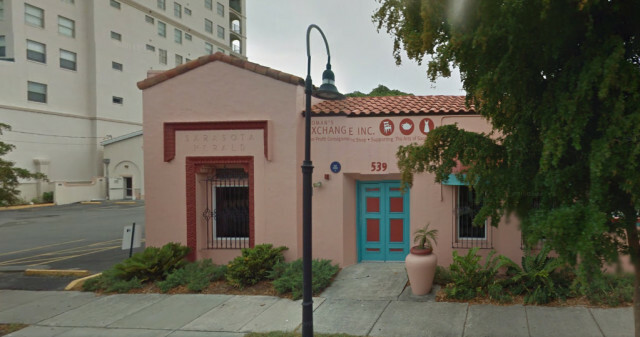 During the evening of April 4, the Sarasota City Commission will hear an appeal by the Laurel Park Neighborhood Association regarding expansion plans of the Woman’s Exchange. But that may not be the end of this saga that already has gone on for close to two years. “This will be the final decision at the city level,” City Attorney Robert Fournier told The Sarasota News Leader in a telephone interview this week. However, he said, either the Laurel Park Neighborhood Association or the Woman’s Exchange could file in the 12th Judicial Circuit Court to have the City Commission’s decision overturned. On Jan. 20, the city Planning Board denied an appeal by the neighborhood association, which then chose to have the City Commission hear the matter. The April 4 public hearing will be part of the City Commission’s evening session, which will begin at 6 p.m. in the Commission Chambers at City Hall, located at 1565 First St. in downtown Sarasota. The dispute between the Woman’s Exchange and the neighborhood association began in April 2014, when the long-established nonprofit — which operates out of an historic building located at 539 S. Orange Ave. — announced its plans for expansion, including the creation of a loading zone at 526 Rawls Ave. The Exchange had purchased that property specifically for growth of its operations, with its representatives having spoken at length in public meetings over the past two years about the need, especially, to make the Exchange’s furniture consignment business more efficient. The property is zoned Downtown Core, a district which “is a very dense mixed-use urban area,” according to the City Code. 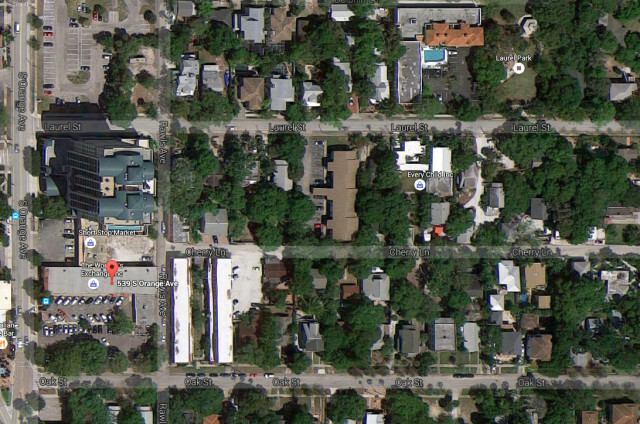 “Non-residential uses are varied,” with ground-floor retail “allowed everywhere,” the code says. A city staff report prepared in advance of the Planning Board meeting explains that the Woman’s Exchange was established in 1962 with the mission “to support and enrich a variety of programs for local cultural organizations.” It raises funds for that purpose through the sales of merchandise people consign or donate to it. The staff report also points out that the building that is home to the Woman’s Exchange was constructed in 1922 and enlarged over time; it has 10,800 square feet of floor area. 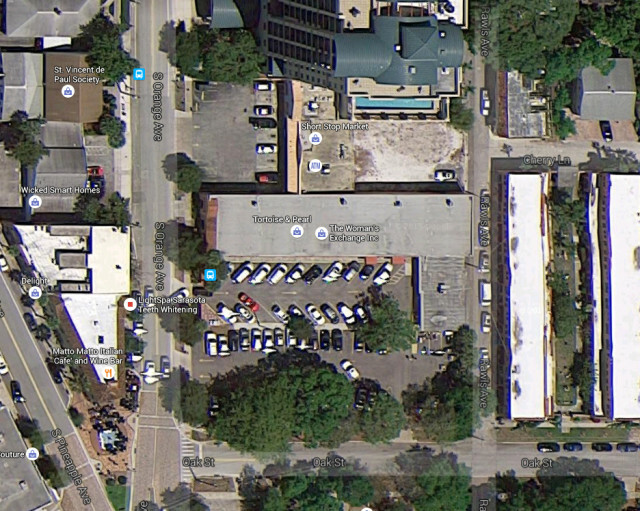 The overall goal of the new site plan is to create a dedicated loading zone as part of a 3,524-square-foot expansion. The Woman’s Exchange wants to relocate loading activities from its existing parking lot, the report adds. All pick-ups and deliveries to the Rawls Avenue loading zone shall be scheduled by Woman’s Exchange staff between 8 a.m. and 5 p.m. Monday through Saturday. No truck larger than a single-unit, 24-foot-long vehicle — and no vehicle towing a trailer — shall be allowed to use the Rawls Avenue loading zone. “The Woman’s Exchange shall monitor the loading zone to ensure that the vehicles do not stack on Rawls Avenue. If the loading zone is in use, waiting drivers will be directed to park in the … lot on Orange Avenue until a parking space is available in the Rawls Avenue loading zone,” the report says. Although the Woman’s Exchange provided demonstrations for Laurel Park residents last year to show how the loading zone would function, the neighborhood association has fought the plan, saying the extra traffic will lead to negative impacts on the quality of life for people living in the area. He made a motion to deny the appeal and to modify the conditions to allow for 18 deliveries per day. With no second, however, that motion died. 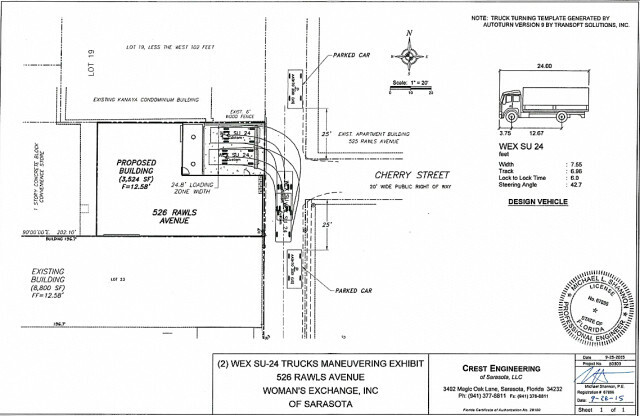 Then Planning Board member David Morriss made a motion to deny the appeal, saying he saw no alternative but to put the loading zone on Rawls Avenue. Board member Patrick Gannon seconded the motion, though he pointed out he is a “big supporter of Laurel Park.” Nonetheless, he told his colleagues, he found the fourth condition imposed by the city — the limit of 12 deliveries per day — “really … a balance to what could be proposed.” That averages less than two vehicles an hour, he pointed out. Svekis also agreed to support the motion. The Laurel Park Neighborhood Association (LPNA) had to pay a $1,597 fee to file the appeal to the City Commission — the same amount it had to put forward for the Planning Board hearing. 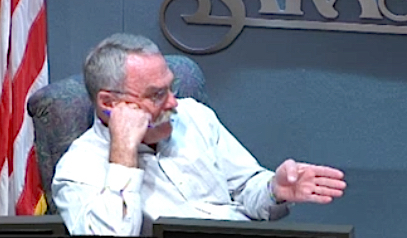 In preparation for the April 4 public hearing, the neighborhood association compiled material to rebut comments Woman’s Exchange attorney Brenda Patten made during the Planning Board session, to which LPNA members were not allowed to respond;. The LPNA provided a copy of the document to the News Leader. In regard to Woman’s Exchange tax forms: The LPNA response points to Patten’s remarks indicating that the residents feel the “Woman’s Exchange does not ‘give back’ enough of its proceeds to the community. In fact, the LPNA has gone out of its way to avoid any such statements,” the document says. In late December 2015, Karen Koblenz, the CEO of the Woman’s Exchange, told the News Leader the nonprofit already had been forced to spend $54,071.84 as of that time on legal fees to pursue the expansion, which, she pointed out, clearly meets the city’s zoning regulations. With building costs rising, and the Woman’s Exchange also having to cover the expense of the appeals, she was concerned about how much more the nonprofit would end up paying as it continued to reach what it hoped would be the start of construction. The more the Woman’s Exchange has had to invest in legal fees, Woman’s Exchange representatives have told the News Leader, the less the organization has available to contribute to arts and cultural organizations, which is its mission. 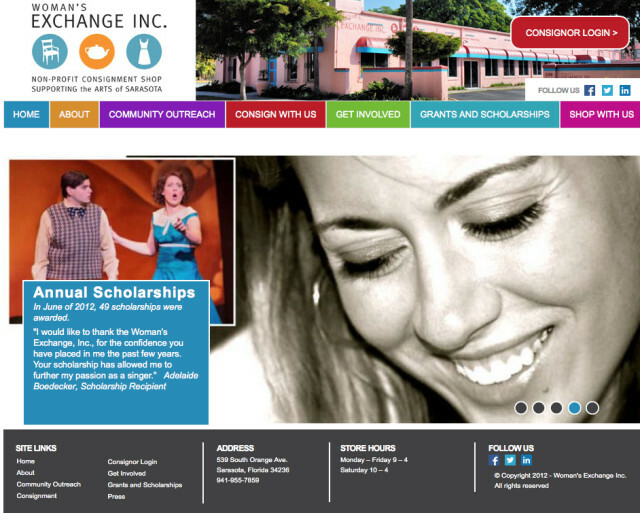 During the December 2015 interview with the News Leader, Koblenz noted that the Woman’s Exchange had donated more than $1.3 million to such entities in Sarasota and Manatee counties over the past five years alone. It’s a shame the facility’s representatives chose not to work with LPNA’s wise leadership for a win-win as did P F Chang’s as it shows intentional disrespect for residents’ concerns.